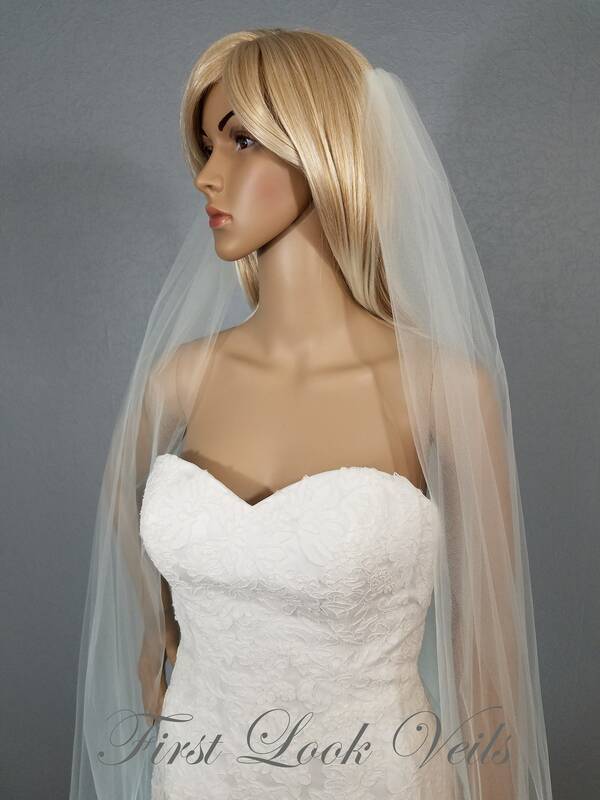 THE STYLE: This chapel length 2 layer Ivory draped veil is attached to combs which are tulle wrapped 1 inch metal combs. 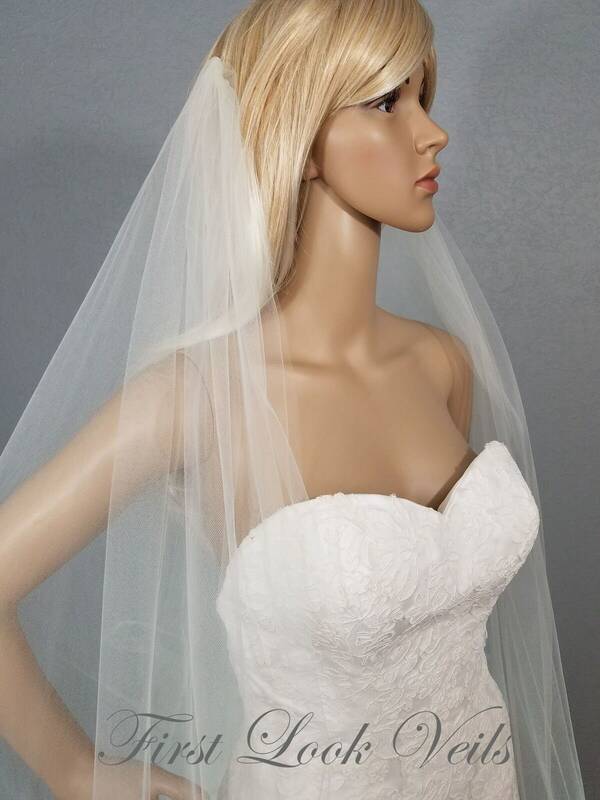 A draped veil gives a royal and romanic feel to your ensemble. 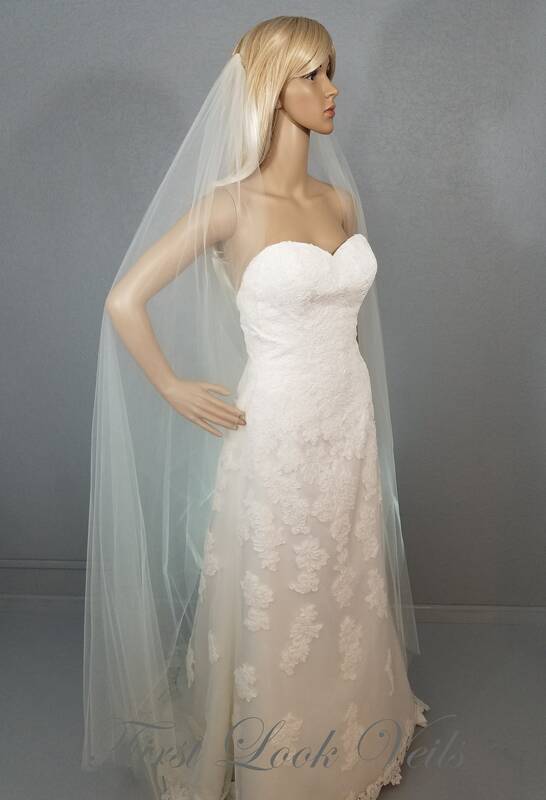 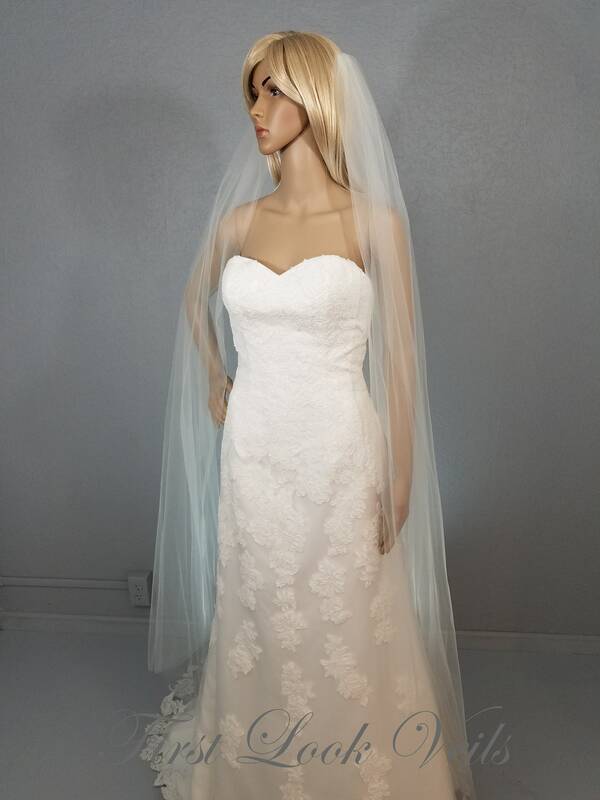 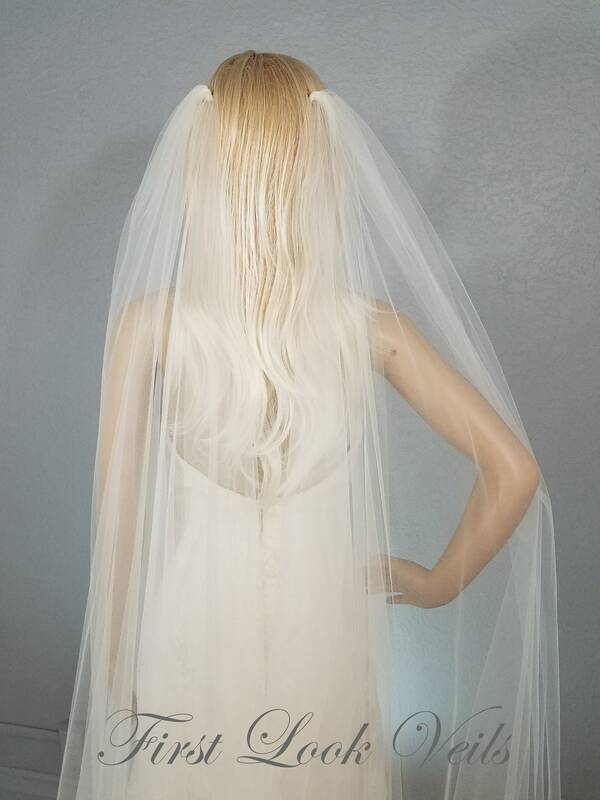 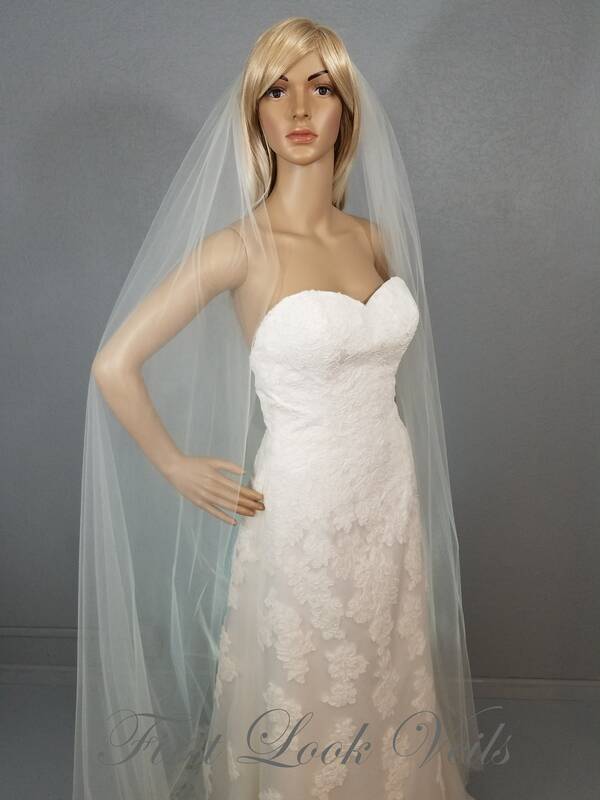 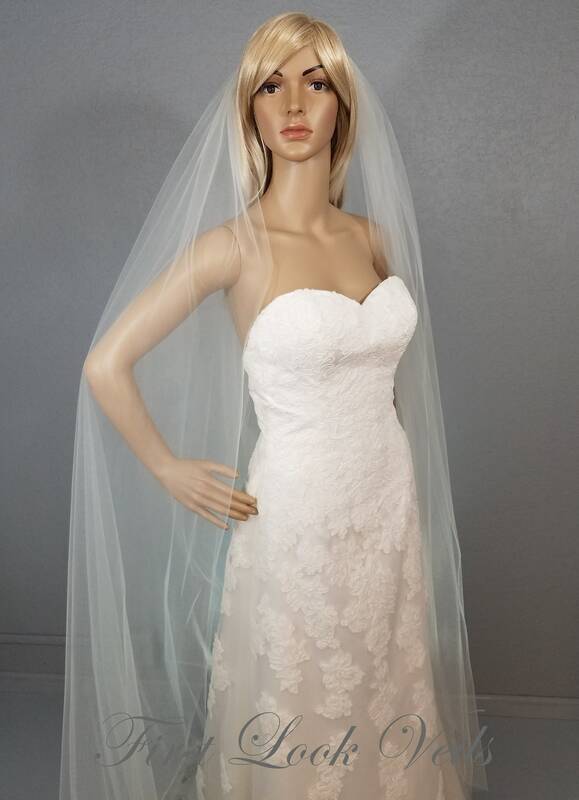 This veil will make a statement as you walk down the aisle. 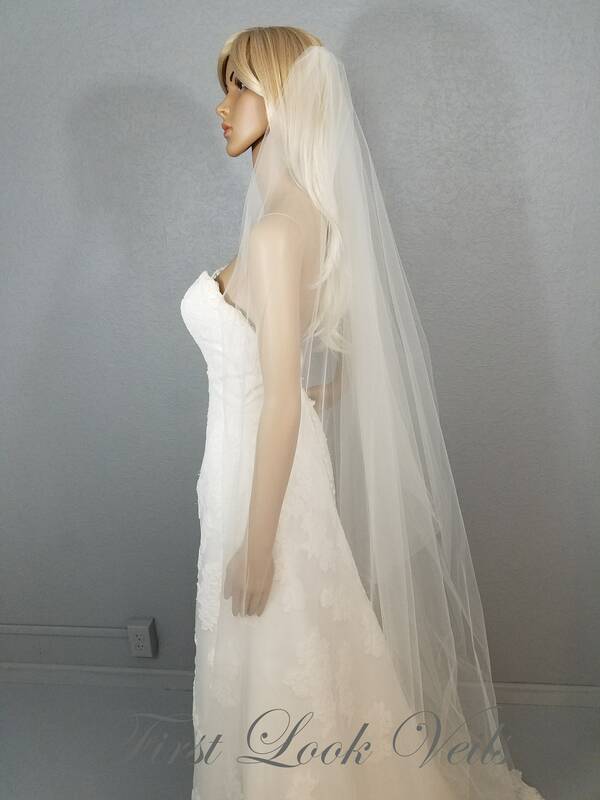 ATTACHMENT: The 1" metal combs are wrapped with matching tulle. 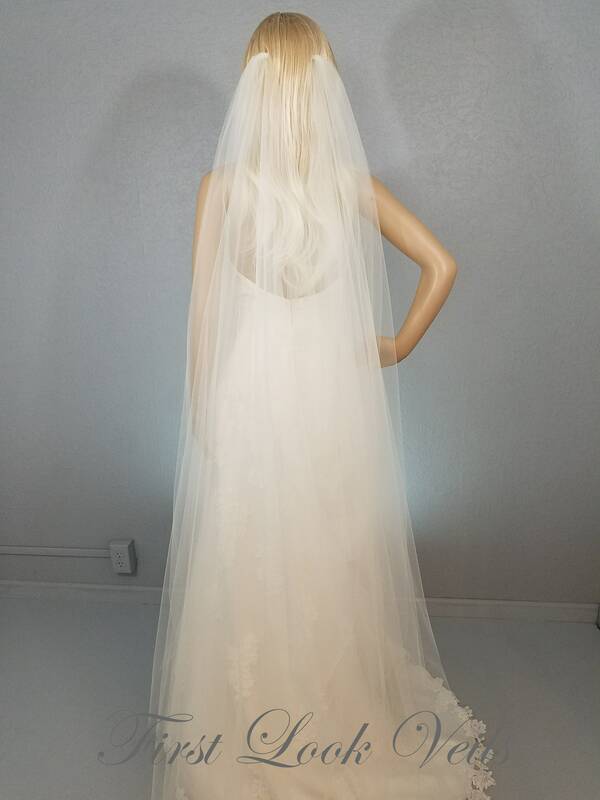 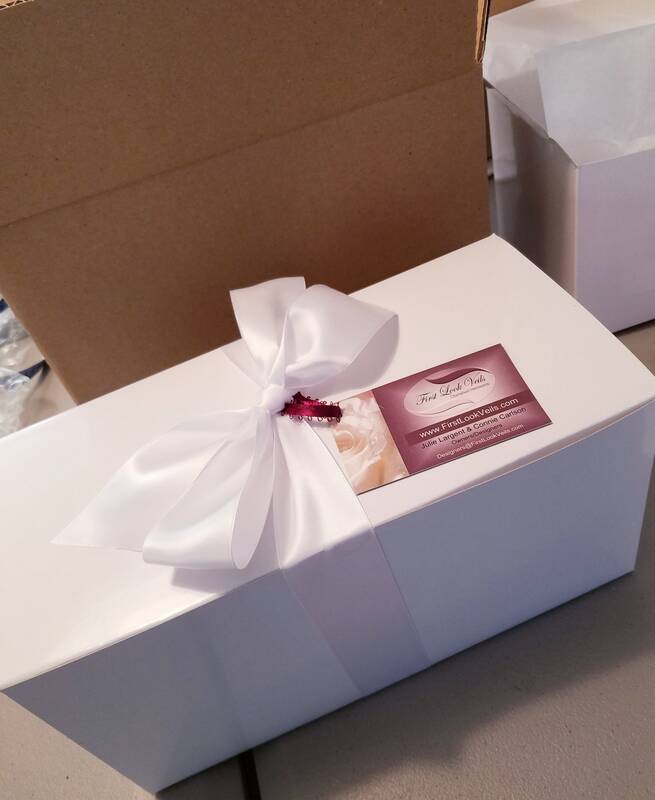 The veil is then hand sewn to the tulle (no glue is used).